Ron Santosuosso passed away on Thursday, Sept. 13, 2012, at his residence in Sun Valley at the age of 82. He was born on April 20, 1930, in Rockford, Ill., to Nicholas and Violet Santosuosso. He graduated from St. Thomas High School and attended the University of Illinois with a degree in electrical engineering. He also had a P.E., professional engineer degree, he served in the Korean War in the Army. He retired from the Southern California Edison Co. with 30 years of service, where he was manager of plant maintenance for the San Onofre nuclear plant. However, he could never really retire so got his A&P and IA certificates, enabling him to perform all maintenance requirements on general aviation aircraft, which he did on his own and friends’ airplanes. He had a tremendous love for airplanes, and he and his wife flew all over the U.S., Canada and Mexico in their Cherokee 180. 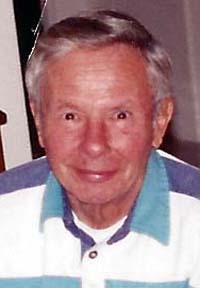 Ron was an avid skier and enjoyed hiking and playing tennis. Ron is survived by his wife, Mary. They were married 50 years this month. There will be a memorial service on Monday, Sept. 24, at 11 a.m. at Our Lady of the Snows Church. A light brunch will be served afterwards downstairs in the church followed by a military graveside ceremony at the Ketchum Cemetery. Friends may call at Wood River Chapel on Sunday, Sept. 23, from 4-6 p.m.
Friends and family are invited to leave a condolence, share a photo or light a candle at www.woodriverchapel.com.